Thanks to all of my family, friends and the art lovers in general who came to see me and my paintings last night! It was a lovely evening and a huge success. The talented Alain J. Picard was on hand in front of the store and was kind enough to paint my portrait during the event. 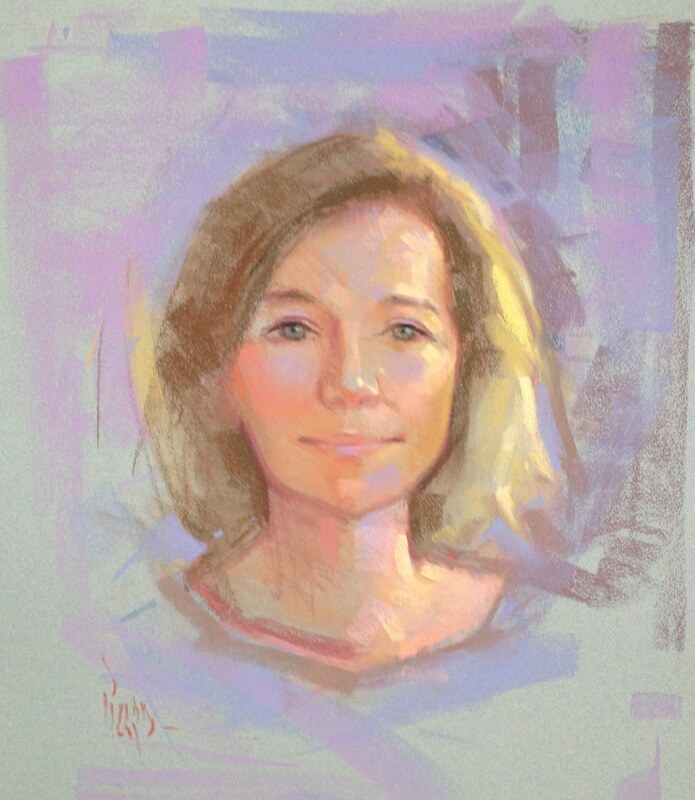 If you are interested in sitting for a portrait or having one done of your children or loved ones, he is your man. Check out his work at picardstudio.com. Congratulations on your event. I would have loved to have been there, but you know all your BHS pals were there in spirit. Great portrait – but how could it be bad with you as the subject!! Cynthia: That’s a beautiful portrait of you. How interesting life gets with each different segment (or as I always say “era”) of our lives. Life really is good and interesting. So happy for you, wished I could have been there too!